Looks great - well built and works well. None to mention - we liked this combi microwave. 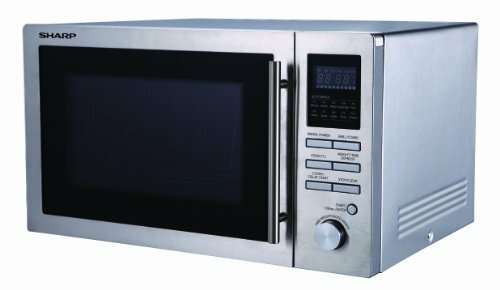 The Sharp R82STMA is finished in a stainless steel exterior, and is a combination microwave with a substantial 25 litre capacity. The interior measures 33.0cm by 23.1cm by 35.2cm and the removable turntable measures 31.5cm in diameter, and as such should accommodate most large plates and containers. Featuring 5 different power levels, together with a maximum power output of 900w, the Sharp R82STMA silver microwave also provides 10 auto menu options for easy use. When in convection oven mode, the combi microwave has a power output of 2400W, which makes it suitable for the majority of baking recipes. Build quality is very good - the sleek stainless steel finish cleans easily and looks smart. 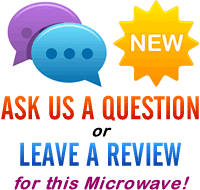 The buttons are very well labelled in a large black font, and our testers found this microwave very easy to operate. Overall we liked this microwave - it looks very modern, and is aesthetically pleasing. It works well, feels very solid, and gives the impression it is built to last. Overall the Sharp R82STMA is large enough to be suitable for the average family, and versatile to meet most people's needs. It works very well, easy to use, and looks great.